Julia L. Kay is a painter, printmaker, photographer, muralist and digital artist who was born and raised in New York City. She holds a BA in Photography from Wesleyan University in Connecticut and did graduate work at the Maryland Institute College of Art in Baltimore, Maryland. She lives in San Francisco where her work has won local competitions and a mural commission. Julia launched her Portrait Party in 2010 when a personal project to draw herself every day for three years was drawing to a close. 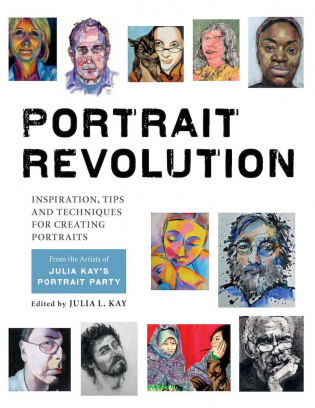 In just over four years, Julia Kay's Portrait Party has grown to more than 800 members from 50 countries and so far generated nearly 40,000 portaits.